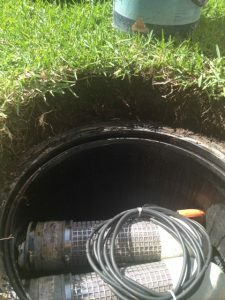 Servicing pumps in underground tanks often has unique challenges. 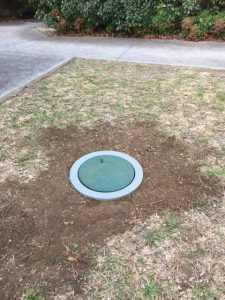 Issues can arise in simply locating the underground tank when it has been installed in the lawn area and then turfed over. 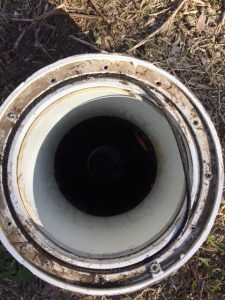 This was the case with one client whose submersible pump had failed and needed replacing. 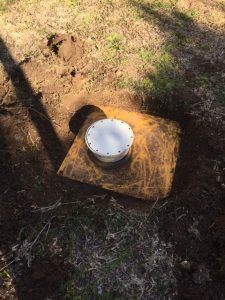 Thankfully, the owner still had copies of the site plans from the construction and we were able to ascertain the location of the underground tank. 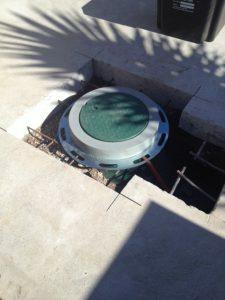 We then set about excavating the soil from around the access lid and installed a wider riser and lid. 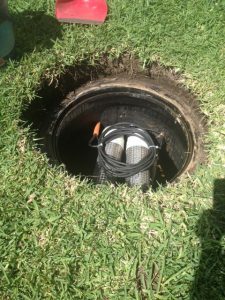 We have also encountered problems with reaching the submersible pumps inside the tank. 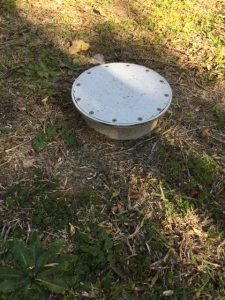 This is particularly the case with many of the Action Tank underground tanks where the body of the tank was installed well below ground level and a 150mm diameter pipe riser was joined to the tank to raise it to surface level. 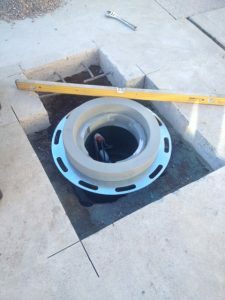 In some of these cases, the pipe risers are 600mm - 700mm deep making it impossible to reach the pump pipework so that the rainwater pump can be removed for servicing. 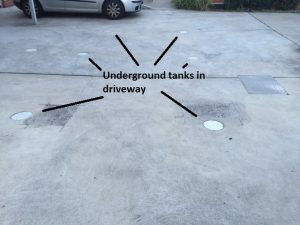 One particularly challenging Action Tank installation was in the common driveway of an apartment complex. 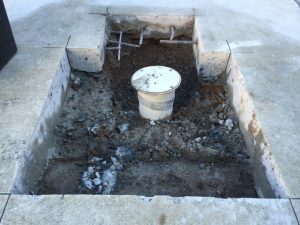 The 150mm pipe riser was approx 650mm deep and there was no way of removing the pump from the underground tank without making changes to the access chamber. The concrete was saw-cut and excavated. 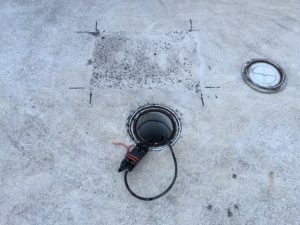 We then installed a wider riser and relocated the water feed line and the electrical conduit for ease of servicing. 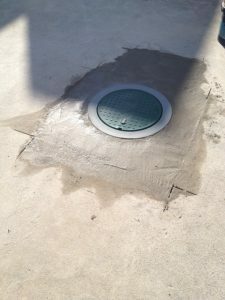 To finish things off, we installed a trafficable collar and heavy duty trafficable lockable lid and re-instated the concrete. 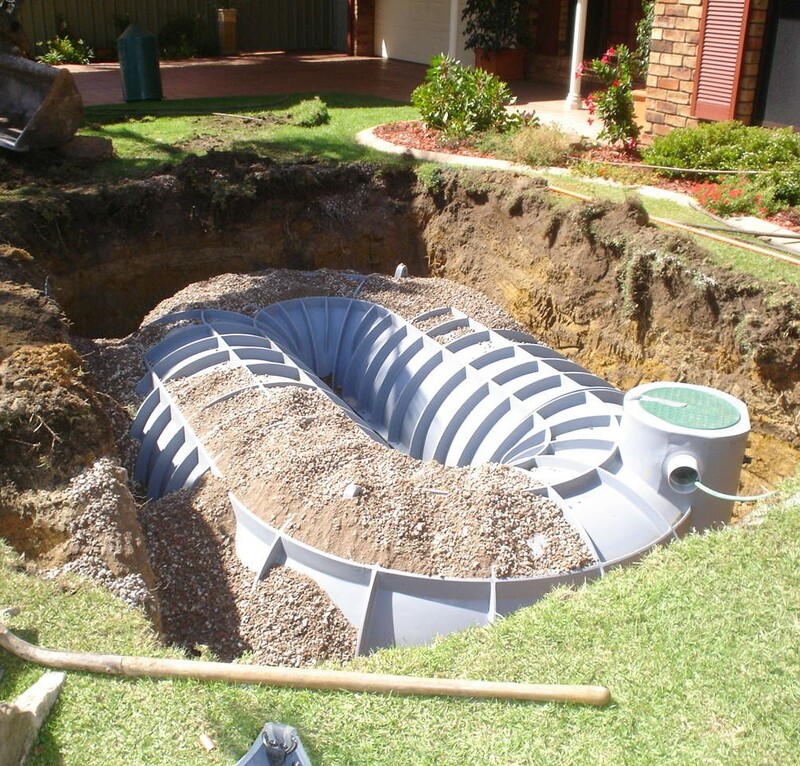 Thankfully, not all the retro-fits that we do on underground rainwater tank access chambers are that complex and costly. 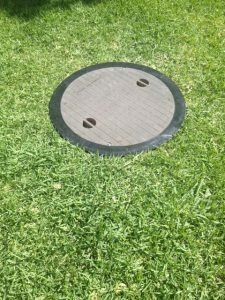 150mm risers located in a lawn area is much easier to rectify as shown in the photos below. 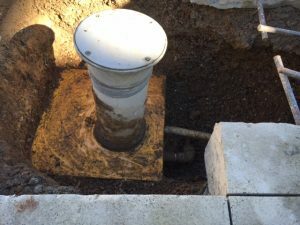 It is disappointing that installers of these underground systems do not give thought to the long term servicing of these unts as more often than not, homeowners are not aware of the diffuculties of actually trying to carry out a rainwater pump repair.